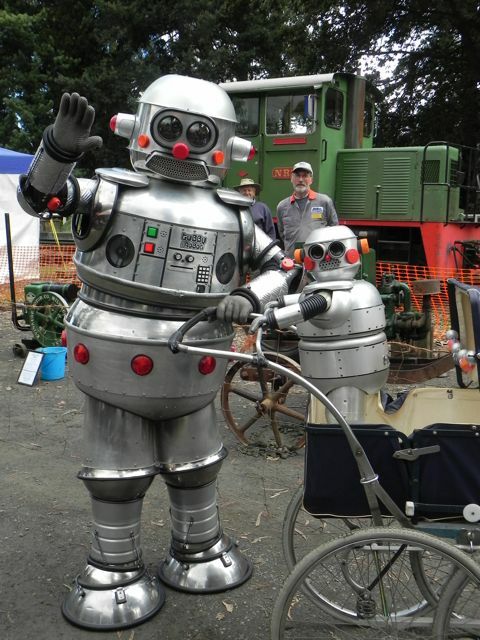 Tubby’s out for a walk with his baby “Baby”, who rides out in front in a restored 1960’s nanny’s pram. The pair had better find a ‘Recharging Centre’ before Baby goes flat! This option is adorable and very accessible, particularly for families with young children.